Three years after the horrific incidents on the USG Ishimura, Isaac Clarke wakes up in an asylum on a densely-populated residential space station known as The Sprawl. No sooner than he is awake, he finds himself assaulted by the Necromorphs that have taken over the station. Once again in a struggle for survival while simultaneously facing an assault on the senses, Isaac must find a way out while grappling with the Unitologists, a cult dedicated to serving the Necromorphs. With a whole slew of new enemies and claustrophobic environments, Dead Space 2 returns players to the depths of space, where battered and psychologically shaken engineer Isaac Clarke must fend off hordes of horrors that want to claim his mind as much his life. 2 Gamers Commented on this game. ADD YOURS. 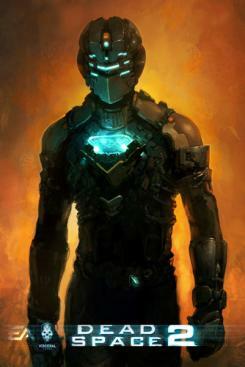 Dead Space two was like science-fiction wearing a spooky mask. The entire time I played it, I wasn't calm. The very short supply of ammunition and the very large supply of enemies made the game one to remember.